Availability: Out of stock. Estimated to ship in 3-5 business days.. It would be a shame for your Roman shield to see wear and tear when it was not in use. Better to cover it up and save it for the battle, we think. And to do so, we offer this Roman Scutum Shield Cover, for protecting your shield when it is idle. The cover is made entirely from heavy fabric, which is ornately adorned with a bright red circle, ringed by a partial square covering over it. 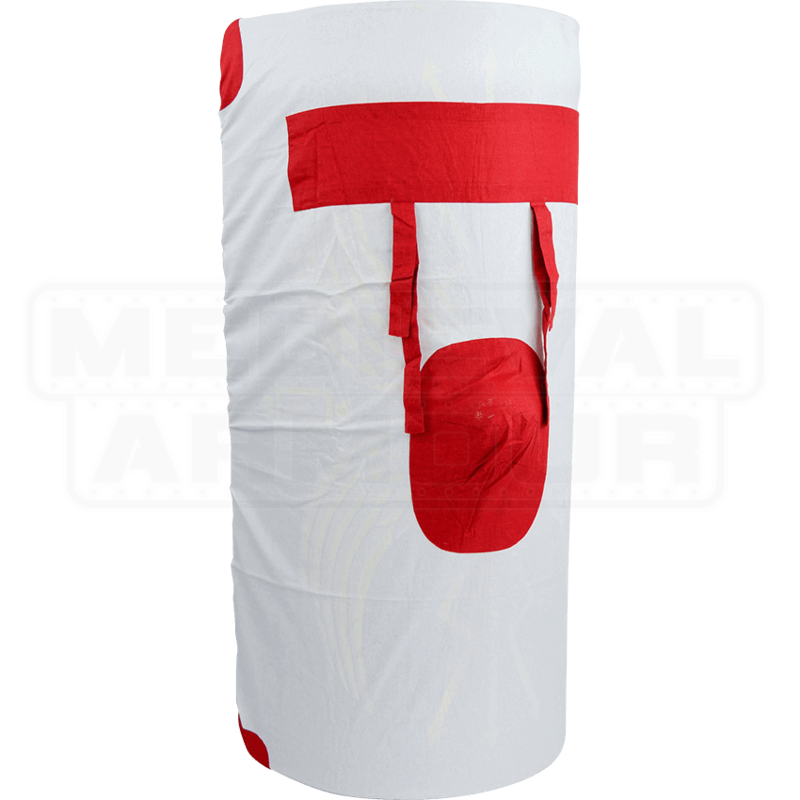 The fabric serves the dual purpose of keeping your shield from prying eyes, while also protecting it from the elements, ensuring that when not in use, it is not exposed to the elements. 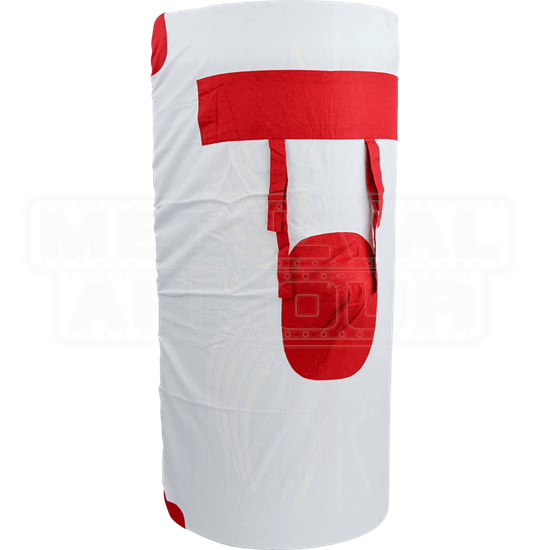 And even when you march onto the field, you can keep your shield covered and safe, only removing the cover before battle, so that even the elements and the weather at large can do no damage to your scutum. After all, you do not wield the scutum to defend you from the elements, but instead, to defend you from your enemies! And this Roman Scutum Shield Cover ensures that you can protect your scutum, so that when the time comes, your scutum can return the favor and protect you, too.